Furthermore, we can also capture the showplan XML for query compile, but doing that has significant performance overhead because it is captured for each compilation or recompilation. So, just do it for a very short time as long as you see a high value for the SQL Compilations/sec counter in Performance Monitor. Once you know where the problem is you can use Engine Tuning Advisor to see whether any indexing changes improve the compile time and the execution time of the query. Talking of DMVs to diagnose recompilation issues, looking into 'sys.dm_exec_query_optimizer_info' is very helpful, in particular, look at the Elapsed Time, which is the time elapsed due to optimizations, and also Final Cost. If you see that Time Elapsed is very close to the CPU time, you might reach the conclusion that the compilation and recompilation time is attributable to that high CPU use. Another DMV to use is 'sys.dm_exec_query_stats' whose most important columns to look at are sql_handle, total worker time, plan generation number (the number of times the query has recompiled), and statement Start Offset. Here is an example to check the top 20 most procedures that have been recompiled. Check to see whether the stored procedure was created with the WITH RECOMPILE option or whether the RECOMPILE query hint was used. If a procedure was created with the WITH RECOMPILE option, since SQL Server 2005, you may be able to take advantage of a statement-level RECOMPILE hint if a particular statement within that procedure needs to be recompiled. Using this hint at the statement level avoids the need of recompiling the whole procedure each time it executes, while at the same time allowing the individual statement to be compiled. Recompilations can occur due to changes in statistics, and you can use the KEEPFIXED PLAN query hint to make recompilations occur only when there is the need to ensure correctness and not to respond to changes in statistics. For instance, in this context recompilation can only occur if the underlying table structure or its schema that is referenced by a statement changes, or if a table is marked with the sp_recompile stored procedure, all resulting in the fact that the plan no longer applies and consequently triggering the recompilation event. Using the KEEP PLAN query hint is useful to set the recompilation threshold of temporary tables to be the same as permanent tables. Take a look at the EventSubclass column which displays 'Statistics Changed' for an operation on a temporary table. Turning off the automatic updates of statistics for indexes and statistics that are defined on a table or indexed view prevents recompilations that are due to statistics changes on that object. It is worth noting that turning off the auto-stats option is not always a good idea. This is because the query optimizer is no longer sensitive to data changes in those objects resulting in suboptimal query plans. 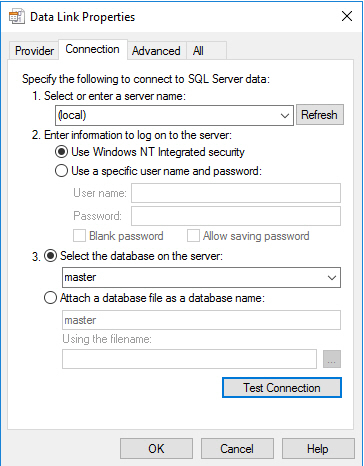 To be honest, I never turned off this option because I always preferred trusting in SQL Server criteria and instead opting to work on optimising queries. Keep in mind that recompilation thresholds for temporary tables are lower than for normal tables, so if the recompilations on a temporary table are due to statistics changes, you can change the temporary tables to table variables. A change in the cardinality of a table variable does not cause a recompilation. The side effect of this approach is that the query optimizer does not keep track of a table variable's cardinality because statistics are not created or maintained on table variables. This can result in less optimal query plans, however, you can test the different options and choose the best one. Generally, temporary tables provide much better performance than tables variables when lots of data is involved. Recompilation might also occur as a result from SET option changes, so one can diagnose it by using SQL Server Profiler to determine which SET option changed. It is highly advisable to avoid changing SET options within stored procedures and it is much better to set them at the connection level, and for the overwhelmingly majority of cases the default SET options work well. 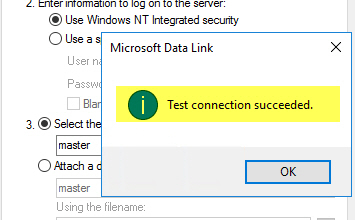 It is also very important to ensure that SET options are not changed during the lifetime of the connection. To avoid recompilations that are due to deferred compilations, do not combine DML with DDL and do not create the DDL as a result from conditional IF statements. To avoid recompilation and also to avoid ambiguity between objects, batches should have qualified object names, for example, dbo.Table1, User1.MySP, etc. Naturally, I have been asked many times about ports used by SQL Server services and to be honest sometimes I took me some time to reply because there is a great number of ports and protocols and it is not easy to remember them quickly. Not all of us have to learn everything by rote, so thinking about it, I made the decision of sharing the following lists of useful ports and protocols so that you can have them at hand when needed. That is all for now. I hope you find this post useful. Let me know any remarks you may have. Stay tuned.